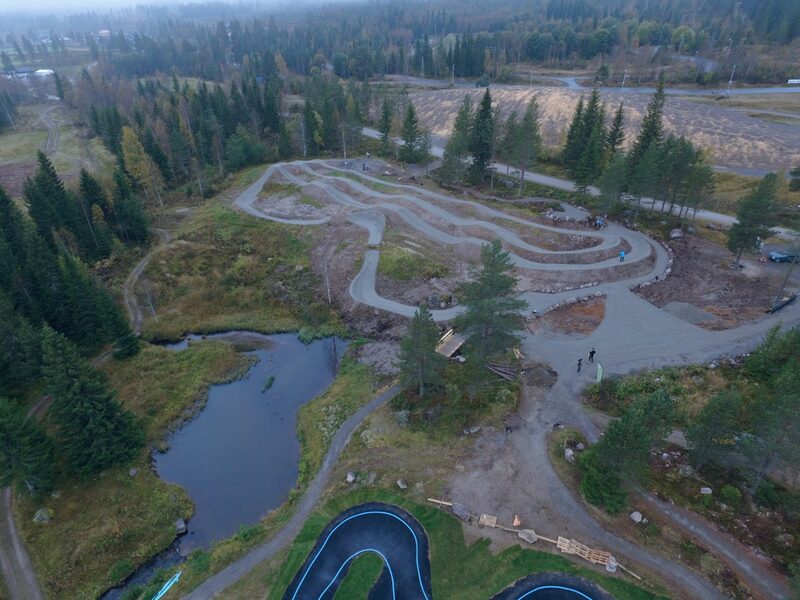 The birth of the best mountain biking destination in Scandinavia: Trysil Bike Arena From the master-planning to daily monitoring on site, this is the story of this extraordinary project. Masterplanning studies, technical advice, the management of an international construction team on site. 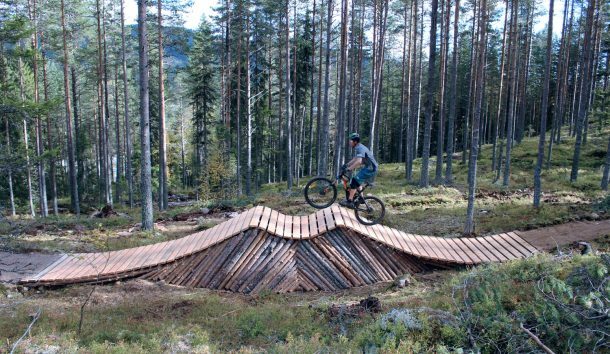 Our task began in 2013 in Trysil, with the aim of designing a development Masterplan that meets the very ambitious objective set by the client: to become the best mountain biking destination in Scandinavia. A real challenge that we were delighted to rise to! That year we put forward the overall positioning and the development projects, mixing new creations and improving existing ones. The construction phase began in 2014 starting with a relatively short initial tranche of work. 2015 and 2016 were two full years of construction during which we managed to put in place an international team of 10 to 15 people. A special system was put in place with a detachment of three people from our French team for six months. The first results (in 2015) exceeded all expectations with a huge degree of customer satisfaction. This continued in 2016 with the management of a larger team (Norwegian, Swedish, Australian, English, Canadian and French) and the construction of new layouts. 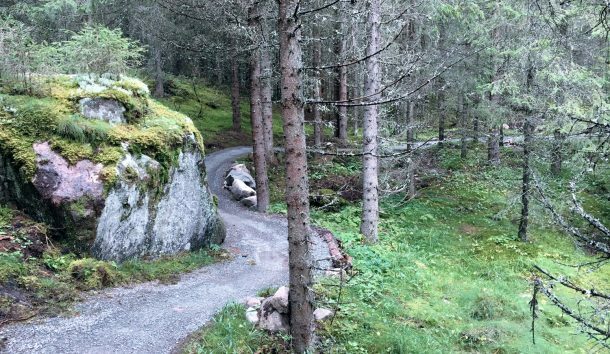 These include year-round cross-country trails, one of the longest flowtrails in Europe, the enduro, the rework of “old school” XC trails, an initiation area and a complete bike park, with initiation area, jump line, asphalt pumptrack (see the dedicated sheet)… a huge and comprehensive complete area! 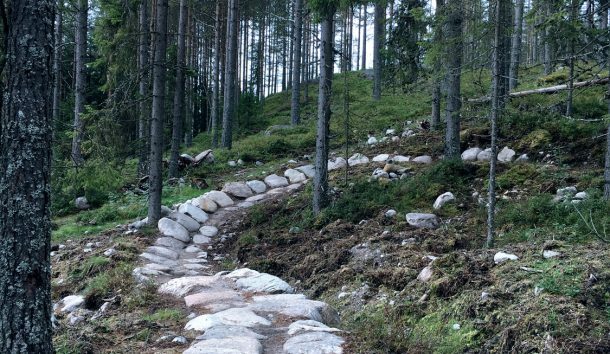 To meet the requirements of such a project we took particular care in the sustainability of the paths and the landscape aspect: Trysil really understood that these concepts are essential to creating successful MTB facilities. In addition to this technical role was our role as an advisor to put in place the services and maximise the economic benefits of the product. 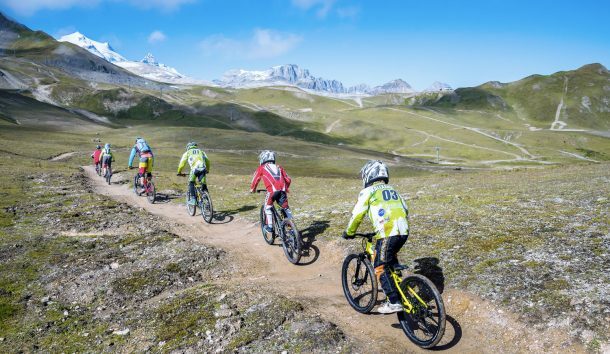 For this short story, in 2016 we received 1st prize awarded by Cluster Montagne in the International Mountain category, which honours the best project by a French company abroad. 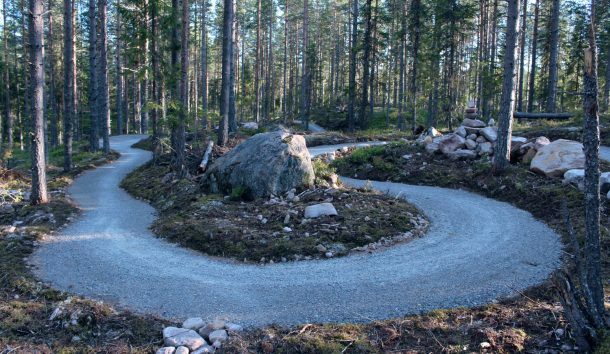 The studies carried out in 2013 and 2014 led to the recommendation of a Bike Park area including an asphalt pumptrack, 30km of easy, fun XC trails for all levels to complement the epic technical course already there and a flowtrail of almost 8km. 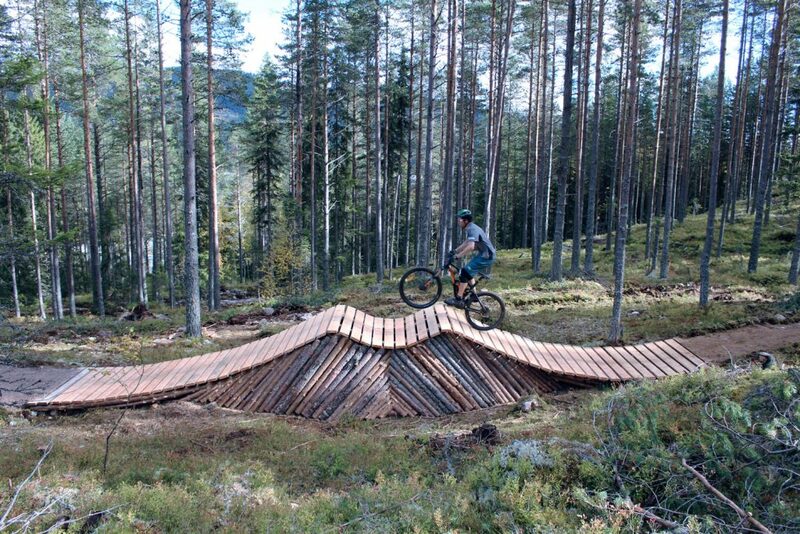 Real variety which is one of the greatest strengths of the Tysil Bike Arena. 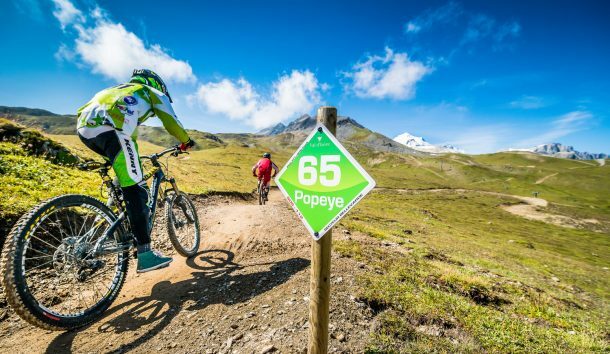 This photo taken on the 1.1km long XC Green Fox trail shows everything we tried to include on these fun, next-generation trails. 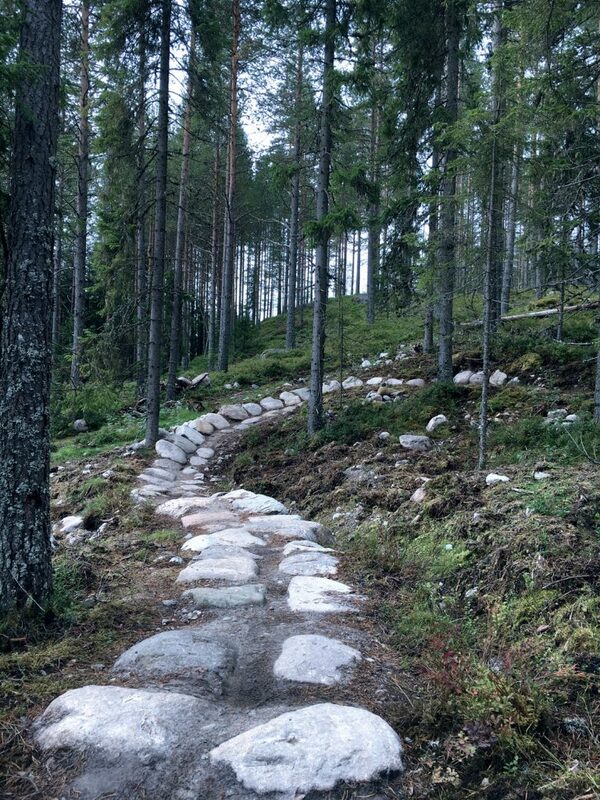 A very easy and playful path suitable for children. Aesthetic, simple wooden modules that mould into the terrain down to the finest detail. 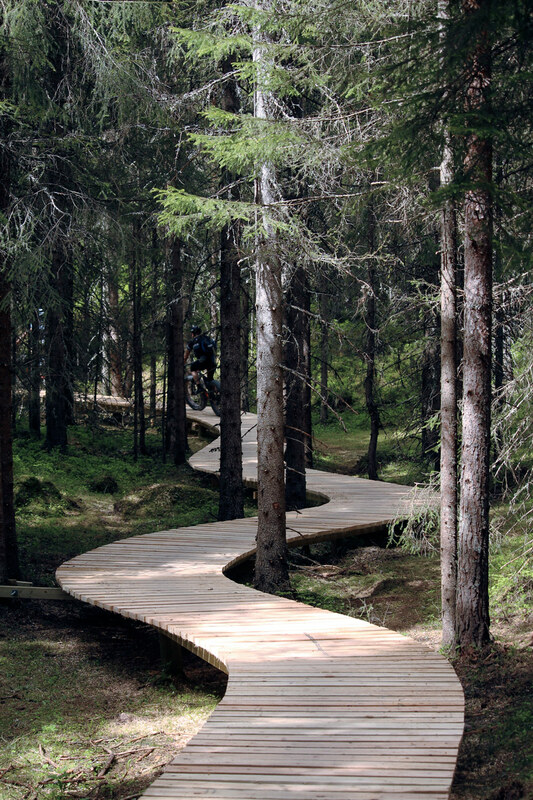 Sustainable construction: the construction technique has made the trail almost unaffected by the rain and the numerous times it’s been ridden (50,000 rides on this trail in 2016). The moustache module on the red trail “French Moustache”. 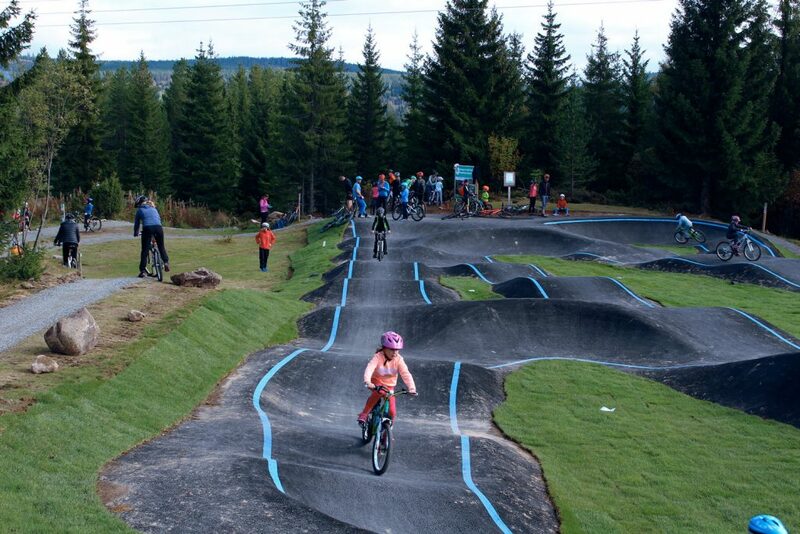 The 49 whoops of the HapyRabbit green track , one of the favourite sequences among kids. 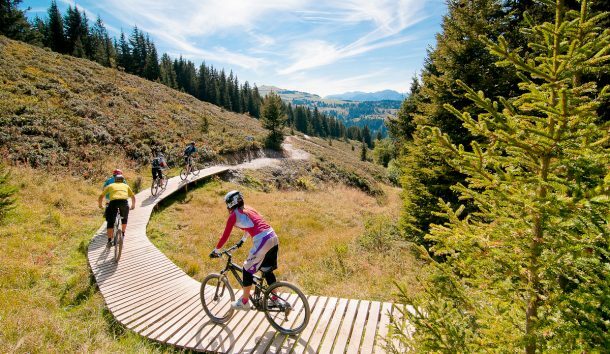 The wall rides on the “Woodstock” red trail are positioned and designed so that you don’t need to brake: thrills guaranteed! 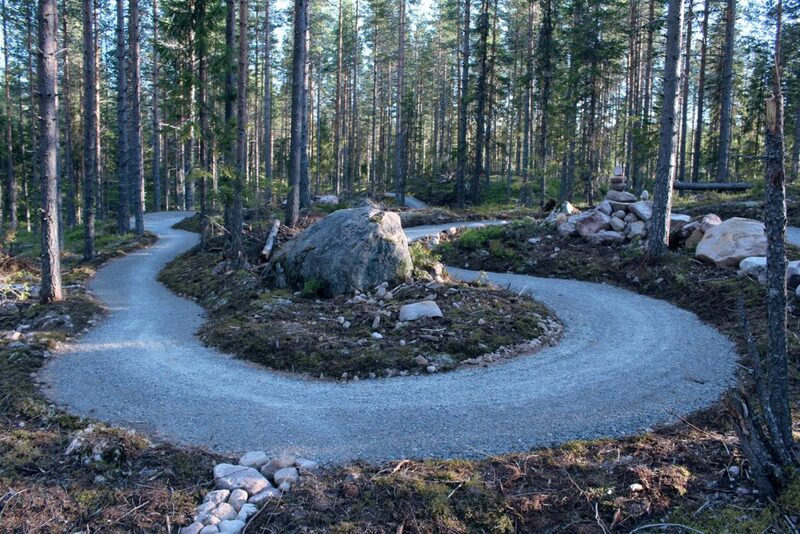 The complete stone bend on the red trail “French Moustache”. 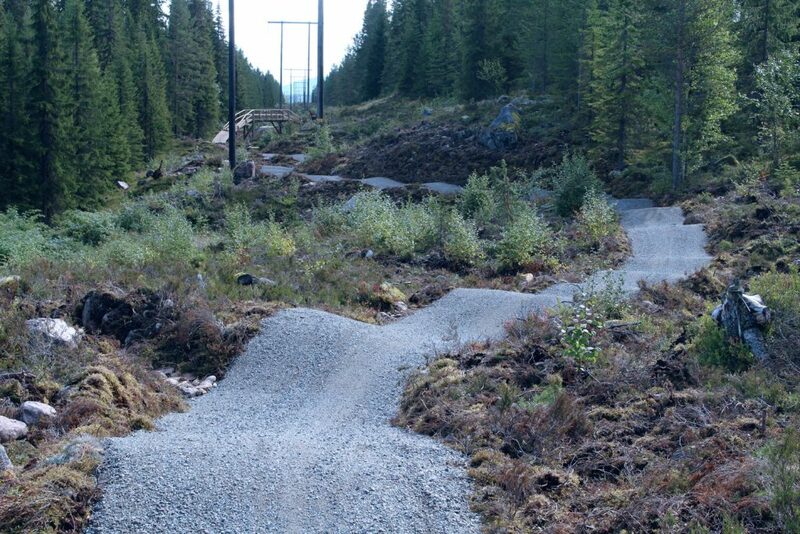 The bike park also includes a “jump park” composed of four lines of jumps, from the green line to the black line. 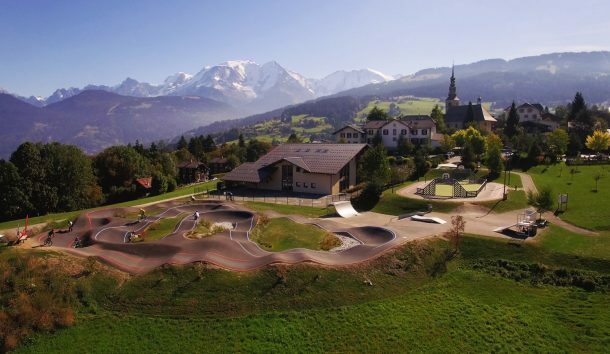 At the bottom of the photo you can make out one end of the asphalt pumptrack, nearby. 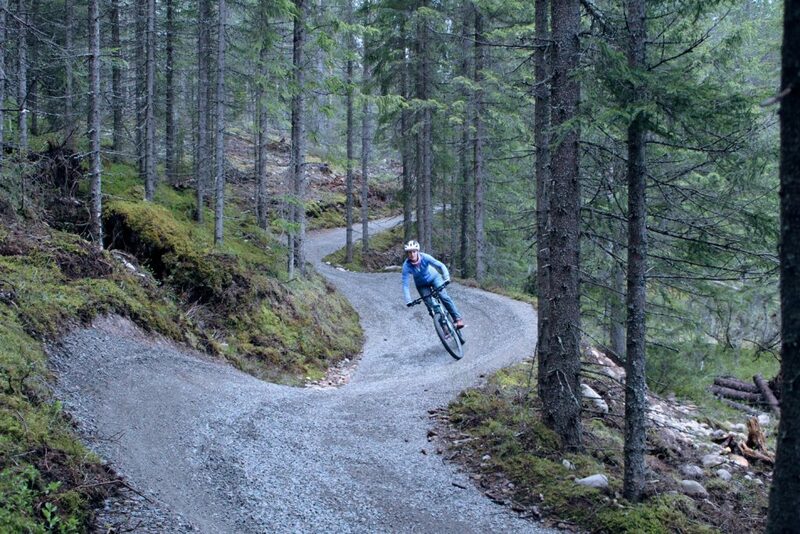 This North Shore on the “Rookie” blue trail is 265m long! 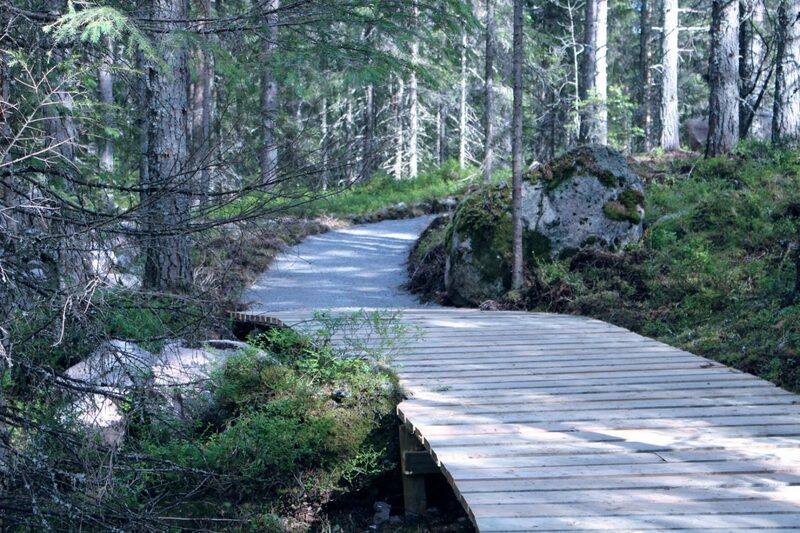 Located on the climb, we chose to create this wooden path in this location because of the very damp and fragile nature of the soil. 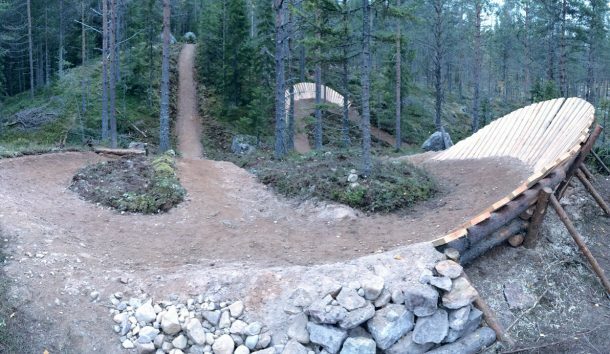 The first trails opened in June 2015. 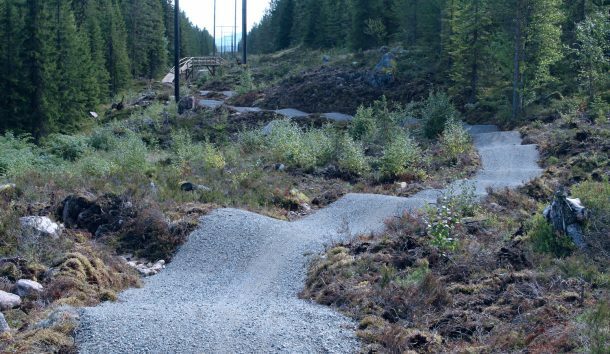 This 2016 season, Trysil has recorded more than 50,000 rides at the entrance of the XC trails, and more than 30,000 on the single “Magic Moose” downhill flowtrail. The results are incredible, meeting the ambitious aims of the project. 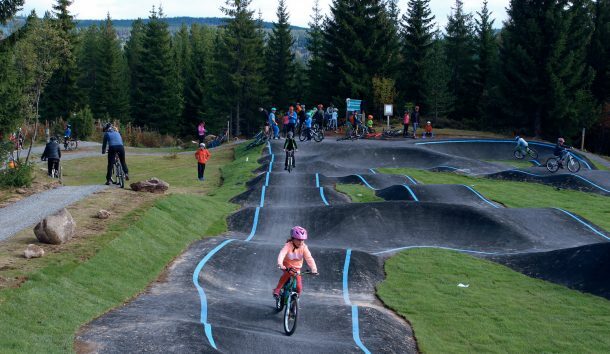 BikeSolutions imagines and creates places and playgrounds for bike riding. Every project we design is a unique balance between user satisfaction, nature and customer needs. 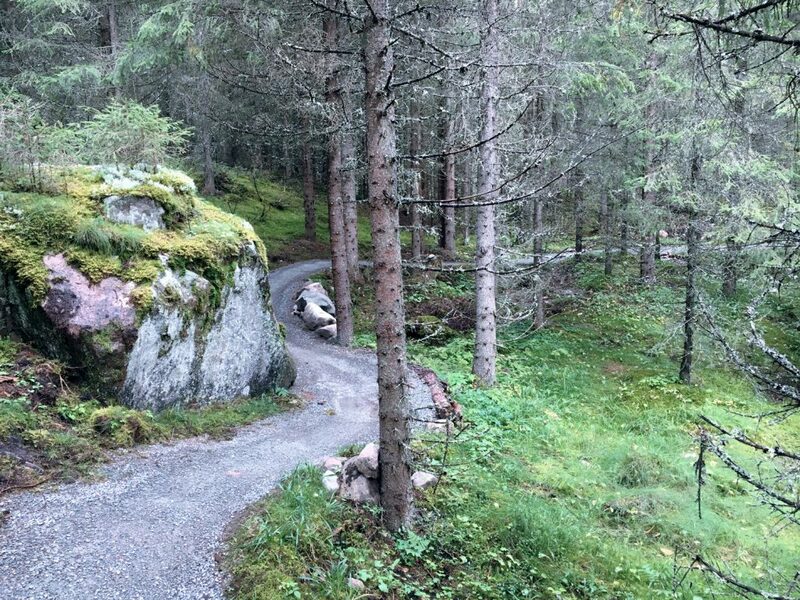 We live in the Alps, and work all over the world, contact us ! 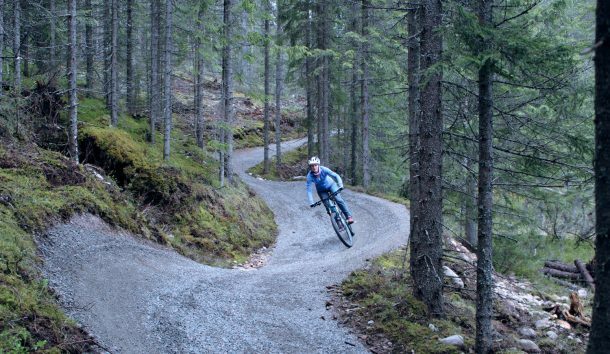 BikeSolutions compensates 100% of our CO2 emissions. 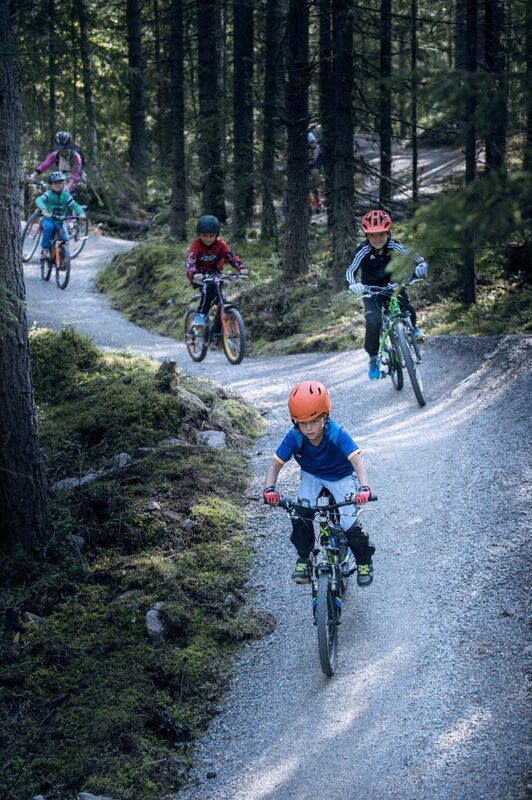 BikeSolutions compensates 100% of our CO2 emissions. With pleasure.